The hype element specific to cryptocurrencies meant 90 percent of surveyed individuals got involved with cryptocurrencies in late 2017. That’s around the same time when almost all digital assets “mooned” according to data collected by Japan’s GMO Internet Group and subsequently reported by Ethereum World News. 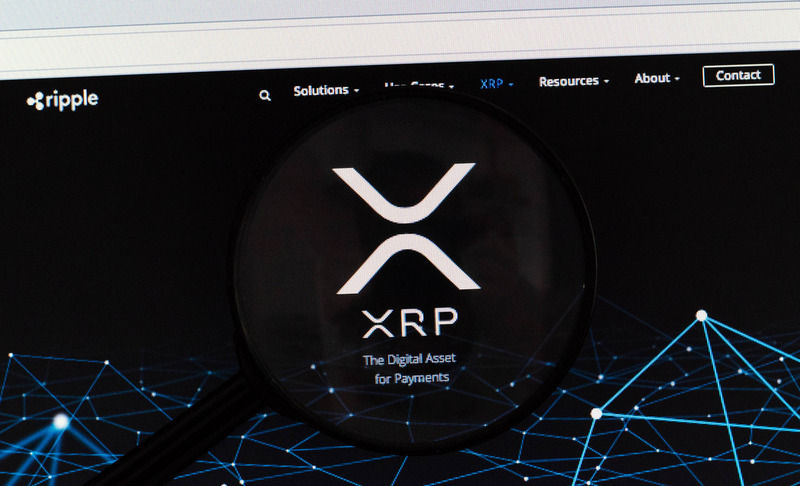 Even though 2018 was a tough year for crypto asset holders it is encouraging that more than 50 percent of the 11,000 surveyed had Ripple (XRP) in their portfolio and were convinced 2019 would be a better year for XRP. Better still, 70 percent of those polled were of the opinion that aside from speculation, cryptocurrencies are long-term investments. 95 percent had invested more than $9,500 in digital assets but the number could rise thanks to SBI Group’s effort and their dedication of supporting Ripple Inc as they market XRP. But it is not only in Japan where cryptocurrencies can be a source of revenue. An Indian exchange, Coindcx, has rolled out a program where account holders can lend their assets and earn interest. Dubbed the Dcxlend, five coins including XRP are available with monthly interest of 0.75 percent for XRP. Down 2.8 percent in the last day, Ripple (XRP) performance is dismal. That has been the situation in the last month or so and as prices consolidate within a 4 cents zone, buyers have a chance above 30 cents. Regardless of recent liquidation, our previous XRP/USD trade plans are valid and bulls may rally in days ahead with the only condition being rejection of lower lows. 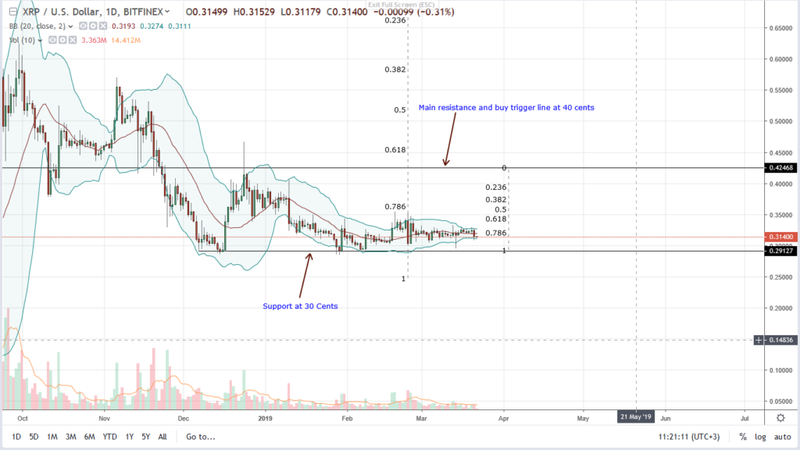 As visible from the daily chart, Ripple (XRP) prices are in range mode. That has been the case in the last three months or so and even up-thrusts of Jan 30 and the follow through of Feb 8 couldn’t catalyze interest needed for prices to rally above 34 cents—our immediate minor resistance line representing the 61.8 percent Fibonacci retracement of Dec 2018 high low. Unless otherwise XRP prices find support and bulls reject further liquidation below 30 cents, it is likely that XRP will snap back to trend and expand in the direction set by late Sep 2018 bulls. If not and Bitcoin draw down compound losses for alt-coins including XRP, then odds are the asset price will tank below 30 cents towards 25 cents invalidating our trade plan as the BB squeeze turns to a distribution. Our anchor bar is Feb 24—61 million versus 30 million. Since Feb 25 upswings weren’t confirmed as asset prices consolidated, bears from an effort versus result perspective have an upper hand. It all boils to how prices will react at 30 cents—our first level of support and 34 cents—our buy trigger line. If prices drop then bears of Feb 24 would flow back but if prices rally above 34 cents then 30 cents would turn out to be reliable support if not a firm foundation for $60 cents.